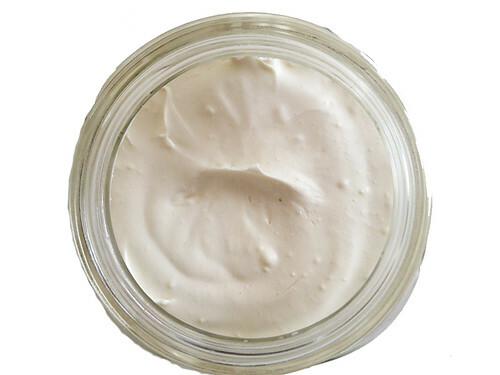 Home › Beauty › When To Start Using Stretch Mark Creams During Pregnancy? It is women who usually get stretch marks but some men get them too. In fact 45% of teenagers will get them during puberty. Whether they are male or female has not been defined in the statistic. Athletes and weight lifters could get them too as a rapid increase in body mass may also over stretch the skin. During pregnancy, up to approximately 90% of women will develop them in varying degrees. Most pregnant women report developing the marks on their third trimester. Why Do You Get Them When You Get Pregnant? It is common knowledge that most women gain a lot of weight during pregnancy. You are carrying another human being inside of you and preparing your body to be able to provide for your child so it is normal for a pregnant woman to gain weight. As a result of the weight gain and the expansion of your belly, the fibers on your skin become thin and over extended to the point that they break. Your hormones are preparing your body not only for the nourishment of your baby but also for his delivery. That is why your ligaments are softened, especially at the pelvic area, to make the passage of a baby possible. Unfortunately these same hormones that soften your ligaments tend to soften the collagen in your skin too, making them more prone to breakage. What Parts Of The Body Do They Usually Occur? Stretch marks usually occur on the fattiest part of the body like the breast, thighs, lower back and upper arms. They also occur on the expanding bellies of expectant mothers. Stretch marks are a pain to remove and conceal. That is why prevention is a wiser option. To prevent these marks from developing you must ensure that your skin remains pliable and is extra elastic. There are several anti stretch mark creams that are available in the market. Choose the ones that have been proven to be safe for pregnant mothers. It is also advisable to remain hydrated and to eat healthfully. Not just to keep your skin from developing stretch marks but for your unborn baby as well. NOTE: Some anti-stretch mark creams may contain Vitamin A or derivatives of the vitamin (retin-A, retinol, tretinoin etc.). These compounds are generally safe but they are TERATOGENICS, meaning they are especially pathogenic to your unborn child. Avoid these products at all cost until you finish breast feeding. It is best to start using stretch mark creams as early as possible. As soon as you find out you are pregnant you can start using it. Most women report that using these creams early on in their pregnancies has prevented the development of new stretch marks (as compared to their other pregnancies wherein they did not use anti-stretch mark creams). To be on the safe side it is still best to consult your physician about the products you use, especially on your skin. Since these products can seep into your bloodstream and get into your baby’s system. If your doctor clears the product you want to use you will want to apply your anti stretch mark creams as early as possible, twice a day every after shower.